Book reviewer Irene Wanner lists his favorites of the year. Among many excellent natural-history books released this year is the oversize “Where the Animals Go: Tracking Wildlife with Technology in 50 Maps and Graphics” (W.W. Norton) by award-winning authors James Cheshire and Oliver Uberti. From data collected all over the world by high-technology tracking devices, the two reveal animals’ fascinating journeys, what we can learn from them and how this information aids conservation. For each animal, there’s at least one map of its travels and home territory, a commentary, sidebars and globe or country map. Sea otters, for example, have three California maps and a small image of North America with their range near Monterey shown. A detailed map illustrates otters’ daily activity in Elkhorn Slough 15 miles north of Monterey Bay Aquarium. These estuary otters “forage less, rest more,” avoid ocean surf and deep dives for food, which means they are as different from outer-coast otters as cats and dogs. Preserving bay kelp beds doesn’t protect them since they eat crabs, clams and snails and rest in sea grass meadows. Tracking of these two differing populations allows better management of both habitats. Another larger-than-life volume is John Nichols’ “My Heart Belongs to Nature — A Memoir in Photographs and Prose” (University of New Mexico Press). Well-known for his classic novel “The Milagro Beanfield War,” he’s lived most of his life near Taos, an activist who raised kids, wrote books, fished the Rio Grande and photographed his cherished high desert for decades. The memoir begins with his childhood when his grandfather was an ichthyologist at New York’s American Museum of Natural History. His father banded birds. From them, Nichols inherited a deep love of animals, their behaviors and habitats. New Mexico could hardly have provided a more different environment, but as his wonderful photographs show, the forests and mountains, sagelands and rivers as well as their native wildlife were all beloved to his discerning eye. “Witness Tree: Seasons of Change with a Century-Old Oak” (Bloomsbury), by Seattle Times environmental reporter Lynda V. Mapes, is a beautifully written account of her year with one red oak in the Harvard Forest in Massachusetts. She studied the tree, its surroundings and animals who call it home and also climbed into the canopy where the panorama opened perspectives on the land’s history. She explains what occurs throughout the year and how the venerable tree helps inform climate-change research. Another book about trees is Michael Kodas’ “Megafire: The Race to Extinguish a Deadly Epidemic of Flame” (Houghton Mifflin Harcourt). Megafires consume more than 100,000 acres; before 2005, they averaged one a year. Since then, the annual number has increased to almost 10. Why? Kodas studies many causes — drought, pollution, insect infestations, climate change and more — and explains how a decades-old U.S. Forest Service policy of putting out all fires as soon as possible backfired. When low-intensity burns that had prevented fuel buildup ceased, undergrowth and small trees thrived, becoming disasters in waiting. “The 2017 Best American Science and Nature Writing” (Houghton Mifflin Harcourt), selected by guest editor Hope Jahren (her 2016 autobiography, “Lab Girl,” shouldn’t be missed), offers 25 marvelous pieces chosen from North American periodicals. Topics include black holes, the shifting sands of Assateague Island, Santa Ana winds, raising chickens without antibiotics, the Cloud Appreciation Society and much more. In 1995, wolves were reintroduced to Yellowstone National Park. 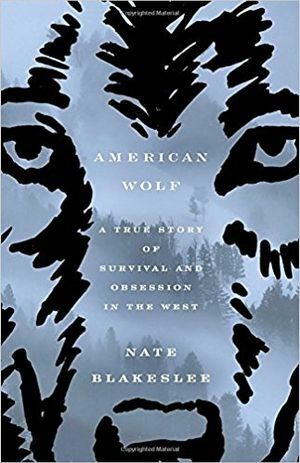 Nate Blakeslee’s informative “American Wolf: A True Story of Survival and Obsession in the West” (Crown) follows their successes and struggles, focusing especially on O-Six, the famous alpha female of the Lamar Pack, and Rick McIntyre, a ranger who studied her. Blakeslee also covers ongoing resistance, particularly by ranchers and hunters, to wolf reintroduction despite research showing wolves restore an ecosystem’s natural balance. In the food-for-thought department is Florence Williams’ “The Nature Fix: Why Nature Makes Us Happier, Healthier, and More Creative” (W.W. Norton). Moving with her family from rural Boulder, Colorado, to bustling Washington, D.C., proved so unexpectedly disheartening, she began researching the importance of nature. Studies took her to Japan, Finland and Utah, among other places. She learned that getting outdoors provides many underappreciated benefits. Calming, it reduces anxiety and depression, blood pressure, heart rate and the stress hormone cortisol. A psychological restorative, time outdoors improves health, memory, sleep and promotes fitness, reducing medical costs and creating new jobs that benefit local economies. For the past three years, Irene Wanner participated in Cornell University’s FeederWatch Progam, a citizen science project.